The team at Reading Lettings have been helping tenants find their perfect home for over 30 years. We offer a range of properties and services to our tenants and landlords respectively. Some of our fields of expertise are: Property Management, Professional House Shares, Student Accommodation and Property Valuation to name but a few. Most of our properties rooms to let and houses to let are located in the RG1, RG2, RG5, and RG6 postcodes. Our rooms, houses and flats to let offer easy access to the following places: Reading University, Royal Berkshire Hospital, Thames Valley Park, Suttons Business Park, Green Park, The Town Centre and the main train Station. Whilst a majority of our properties are located within the RG1 area of Reading, we also cater for clients requiring property further afield. From 1 bedroom house shares to 10 bedroom student properties and everything in between, we are confident we will find the right property for you. Our aim is to provide an efficient and professional service to our clients from the first meeting through to the successful conclusion of the tenancy. If you would like to view our student accommodation, click below. All of our properties for professional tenants that are on our website are available here. So far my experience with Reading Lettings has been nothing but wonderful. I've dealt with a couple of the people that work there and they've all been a delight. They showed up on time and were very knowledgeable about the property and have been fantastic throughout the service provided. Hope to see this continue with the tenancy down the road. 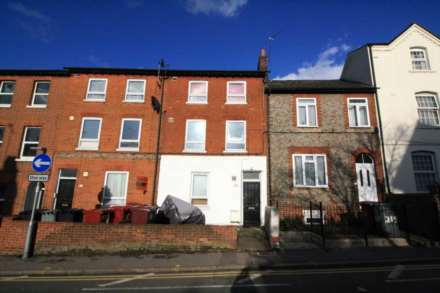 We had been looking for a flat in Reading for a while already when we found one via Reading Lettings. The viewing for the flat arranged quickly and everything after that went as smooth as butter! I would highly recommend Reading Lettings if you are looking for a flat. VERY helpful and professional staff! Thank you, Daniel! Very helpful and friendly. Willing to answer any questions and made the experience very smooth for my flatmates and I. Would definitely recommend over any other letting agency in Reading. Daniel listened to what we wanted and unlike other estate agents showed us properties which fitted our criteria. We didn't feel like we was being rushed through each property and managed to find something exactly what we wanted under our budget! Would highly recommend over other places due to the customer service particularly from Daniel ! The team is friendly and very professional, and the agency one of the few in Reading that offers nice, clean student homes. Peter Lewin, the owner of the agency, was actually the owner of the house I lived in with my housemates, and there was never a problem that was not taken care of quickly and efficiently. I strongly recommend! Very helpful and understanding of students and their situations. Reasonable priced houses and all the houses are of a high standard. I would definitely recommend using them if you're looking for a student house. I can't fault the service we've received from Reading Lettings. We have rented from them for just over a year now and the house is everything we needed! If there are any maintenance issues, they are resolved the same day and with little disruption! The company are easy to contact and really go out of their way to give you the best experience possible. For students, this is THE lettings agent to use!